Barchester chose Alphabet following a six-way tender in 2015 that saw the business mobility specialist lead the way on the value for money and customer-supplier compatibility. “Alphabet came out above the others. Not just on cost – although it has to be said they were also the most cost effective – but also because we felt they were a good match for Barchester. 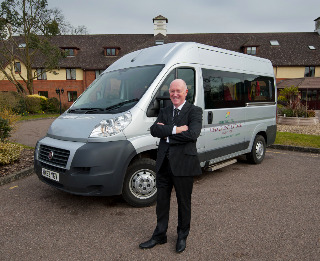 They provide a good quality of service for us and they work with us in helping us operate the fleet,” Kevin Inns, Barchester's fleet manager, explained. Barchester also uses Alphabet's AlphaRent+ rental solution, which is designed for longer rental requirements such as probationers and starters waiting for a permanent vehicle.